This is an adorable file folder game! 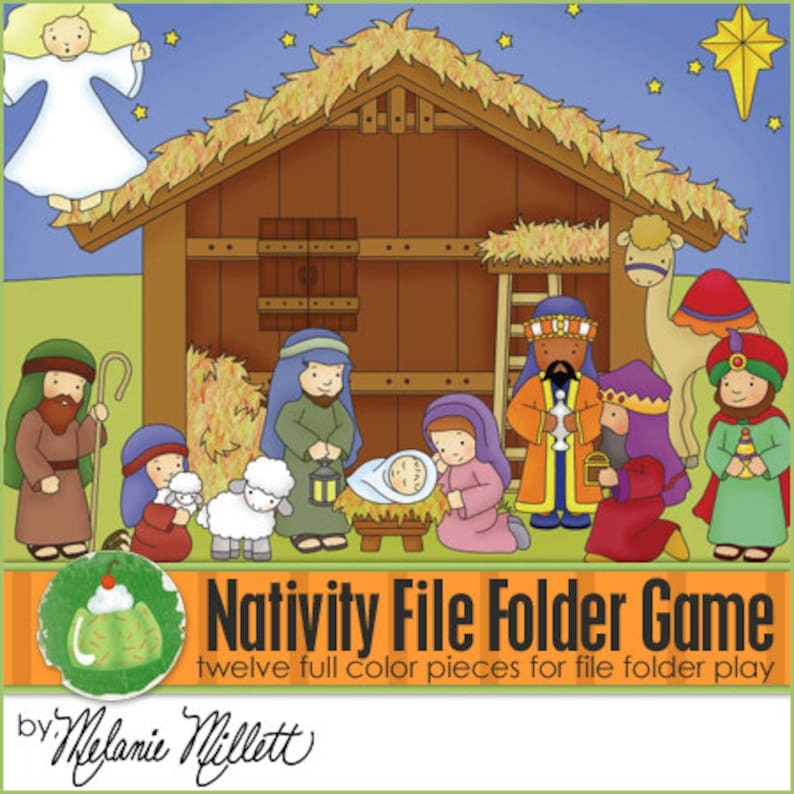 Your child will love putting on all the different animals and characters to build a wonderful nativity scene. It comes full color, ready to print and cut out. The background is on 2 different sheets of paper that will need pieced together. Everything prints out on an 8 1/2" x 11" sheet. There are instructions included on how to make it, and how to play with it. You can print them yourself, or take them to Wa-lmart, Staples, or somewhere similar to have them printed. If you laminate the game or use clear contact paper it will last for years of enjoyment! Thank you. Love the graphics.